On a huge news week, Brian, JD Church and Chris Triplette talk about: Comics for the week—Old Man Logan, Blackest Night Superman #2 and Revenge of the Fallen #2 Wii IS going to be $199. Big deal? Marvel Superhero Squad is AWESOME. JD and Chris are aallllll about Heroes. Brian prefers House. On a huge news week, Brian, JD Church, John DeLuna, and Chris Triplette talk about: We’re all Swayze Crazy. Scribblenauts Comics for the week Rambo 5 Games that need the Rebirth treatment (a’la Contra Rebirth) Sense and Sensibility and Sea Monsters X-Men getting a reboot? 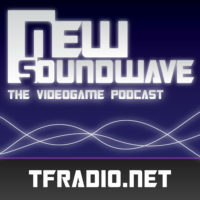 In this show: On a slow news week, Brian, JD Church, John DeLuna, ExVee and Chris Triplette gang up to talk about the 10th Anniversary of the Dreamcast launch in the US. The guys discuss DC Entertainment which was announced this week. Chris and ExVee discuss the current crop of animated comic cartoons.